Sara® Combilizer enables out-of-bed Early Mobilisation and ICU rehabilitation of critically ill patients to a standing position, to help reduce the adverse effects of immobility and bed rest. The dimensions and powered multi-function design of Sara Combilizer support the ICU patient to get out-of-bed mobilisation therapy, while at the same time providing ergonomic working conditions and minimal physical strain on the caregivers. With Sara Combilizer mobilisation therapy is safe and efficient, both for the patients and the caregivers. The patient is secured by a safety belt system that eliminates risk of falls, and other built in safety mechanisms enables a quick repositioning of the patient to a supine position if an emergency situation occur. Due to its design and dimensions, transfer of the patient to and from Sara Combilizer is safe and quick, minimizing the resource need to prepare the patient for the mobilisation therapy. Powered multifunctional positioning aid for early mobilisation and ICU rehabilitation of critically ill patients. The advanced positioning possibilities of Sara® Combilizer help increasing comfort and preventing pressure ulcers by enabling easy repositioning. Hand control operated positioning of patient between standing (75 degrees), sitting and supine position including the option of Trendelenburg positioning. 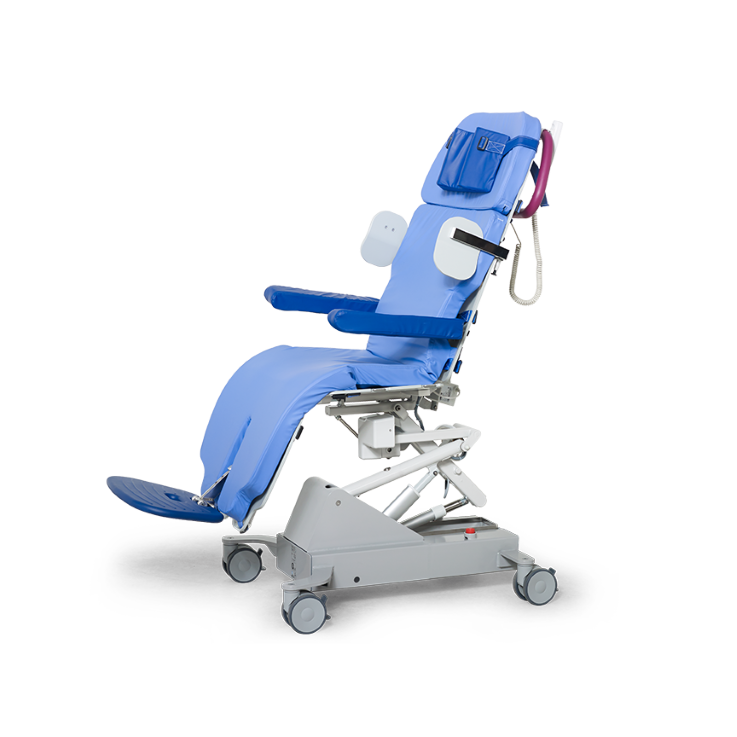 Height adjustable in stretcher and chair position as well as compact dimensions cater for an ergonomic working posture and good patient interaction. Easy-to-read inclinometer indicating level of inclination when raising Sara Combilizer to a standing position. Sideways tilting in all positions, for pressure re-distribution and rehabilitation purposes. Reclining chair position for a comfortable resting position. Quick-down function for patient emergency situations, enabling the patient to get down to a supine position in seconds, enabling CardioPulmonary Resuscitation (CPR).